Its that time of year again and it seems as if it was only a few months ago when I took on my part in fasting in the month of Ramadan. I can honestly say its been a good year for my family. Truly Allah ‘Subhanahu Wa Ta’ala’ has watched over us. 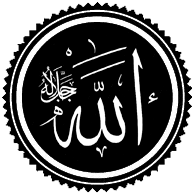 Allah is the Arabic word for “God.” It is also considered by all Muslims to be one of the names of God. Therefore, whenever Muslims mention Allah, they are simply referring to God. In fact, even non-Muslim Arabs such as Christian Arabs use the word Allah to refer to God. The Qur’an is a book. Like that of the Torah and Bible. It’s God’s words revealed by God through the Angel Gabriel to the Prophet Muhammad ‘peace by upon him’. I have read all three books, and while there are dissimilarities between them all. They all pass along the root message prescribed by GOD like that of a doctor to each and everyone of us. God has given us the free mind to choose what to follow or not to follow at all. Muslim follow the words that are written in the Qur’an.